Food is a building block for our community. Food allows children to learn and grow up strong. Food is medicine for a healthier life. Food opens doors to a brighter future. Every day through the power of nutritious food, the Arkansas Foodbank creates opportunities across central and southern Arkansas. With a nutritious meal after school. With a bag of fresh produce. With hope for tomorrow. One in six of our neighbors needs help putting food on their table. They’re our friends. They live on our street. Many have jobs. Their children go to school with ours. They are people we see every day and too often their struggle is hidden in plain sight. No one should ever go hungry. No piece of legislation is more important to the Arkansas Foodbank and Arkansas families trying to make ends meet than the Farm Bill. This bill is the largest piece of food policy in the United States and impacts farmers, what you and I pay at the grocery store, as well as authorizing the programs such as Supplemental Nutrition Assistance Program (SNAP) and The Emergency Food Assistance Program (TEFAP), which are crucial to combating food insecurity. The Farm Bill must keep critical programs like SNAP and TEFAP strong and strengthen America’s national commitment to fighting hunger. The Farm Bill represents an opportunity to strengthen and improve key federal nutrition programs — such as SNAP and TEFAP — which are critical to the health and well-being of families struggling with hunger. Currently, the House and Senate are working on a final compromise to their respective bills in a conference committee with members of both chambers. For Arkansas, we are represented on the conference committee by U.S. Sen. John Boozman, R-Ark., and U.S. Rep. Bruce Westerman, R-District 4, and U.S. Rep. Rick Crawford, R-District 1. The decisions they make during this process will directly impact how the 264,000 people in our service area will be able to put food on the table, including seniors, veterans, and children. SNAP is vital for families struggling with hunger, and its scope and scale could never be replaced by private charity. In fact, for each meal provided by a member of Feeding America’s network of 200 food banks and 60,000 partner agencies — which Arkansas Foodbank is part of, SNAP provides 12. We simply could not meet the need if accessing SNAP became more difficult for Arkansans. Many people end up at food pantry doors because they don’t qualify for SNAP, or because their benefits don’t stretch far enough. For these individuals, the charitable food assistance network helps bridge the gap. 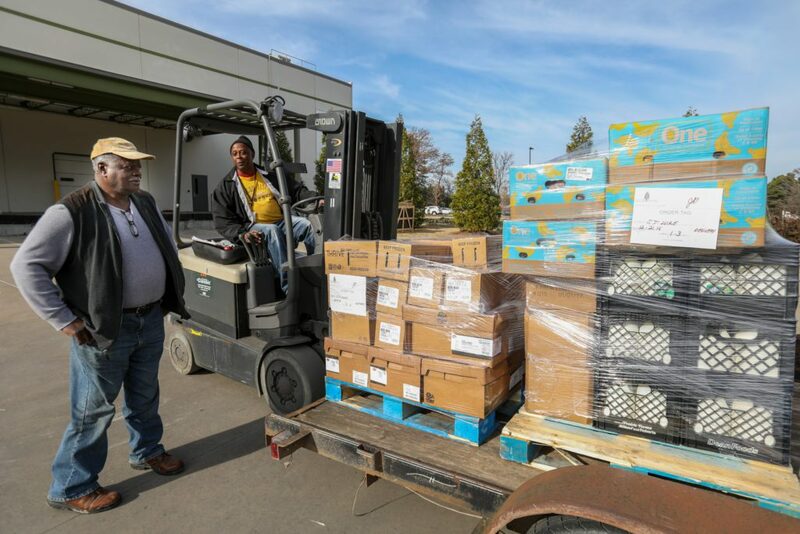 TEFAP is the cornerstone of the food supply for food banks- providing almost one in five meals distributed by all local hunger-relief agencies last year, and as much as 50 percent of food distributed in rural communities. We’re counting on our Congressional delegation to pass a strong Farm Bill that ensures families can put food on the table.